All of our RPAS basic / advanced students recieve a half hour discovery flight! In co-operation With Excel Flight Training Inc. and to assist our RPAS students to understand important concepts like flight theory, all of our students get the opportunity to fly in a single engine aircraft. This allows the student to assimilate classroom learning into a real world exerience. This helps Aerial Observation Services students to better understand the concepts they learn in a classroom environment. Students will actually get "hands on experience in a real aircraft where they can apply concepts like pitch, roll, and yaw! Students will don an aviataion headset and be fully emmersed in aviation communications. Students will hear first hand air to ground communications while they fliy along side of thier pilot instructor. 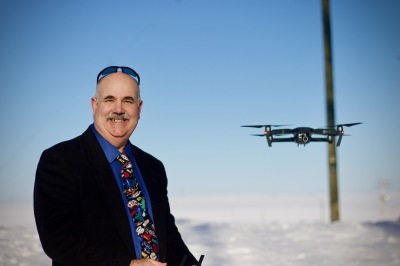 RPAS instructor Mike Hoffman - "At Aerial Observation Services we want our RPAS pilots to leave our program knowing that they recieved valuable knowledge that they can utilize in the real world"! Our discovery flights will give our students added value to thier educational experience!